Like many areas of the UK Amlwch’s manufacturing industry has suffered during the last few years. New roads have brought the world closer but the raising costs of materials and energy have off set these costs. 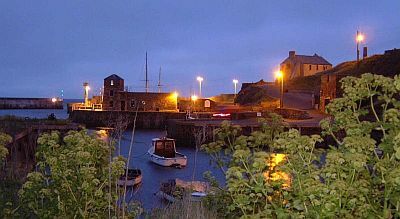 Some industries were / are located in Amlwch because of it’s position close to deep sea water. Others were attracted by government grants to new industrial parks around the town. Most people from Amlwch have to travel to work in other areas of Anglesey or North Wales. Many people work at the Nuclear Power station near Cemaes or the Aluminium foundry near Holyhead. Farming and house builders seems to make up another group of people while others still work in some of the industries listed on the right.